Winter flying and capturing imagery does have some advantages. With the low sun it is often possible to capture some great images particularly during the the early and later part of the day. The image here was taken late yesterday afternoon and whilst has good lighting has the long shadows. These images are often good for marketing type shots but less useful for photogrammetry. With less day light hours and the sun low in the sky the amount of time in the day is much reduced, on a good day 4 to 5 hours compared with about 16 or more during mid Summer. 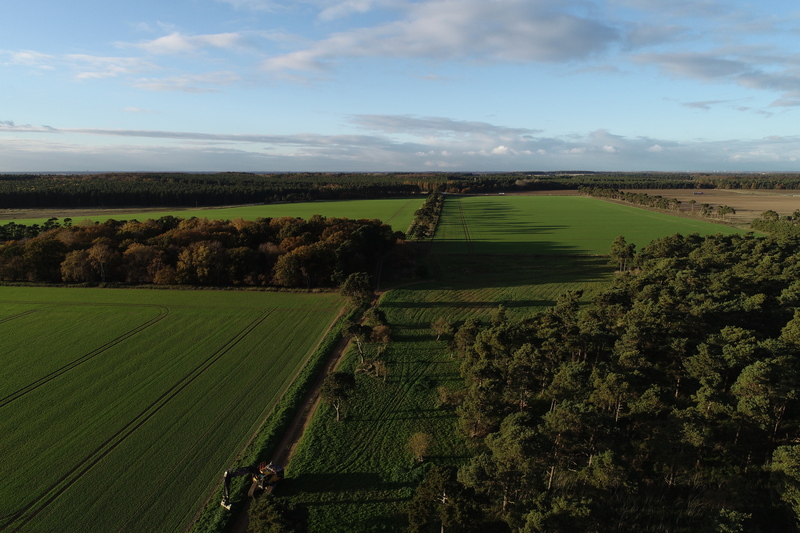 Over the past two weeks we have been instructed to carry out a number of surveys so making the best use of good flying conditions becomes of increasing importance. Today is definitely going to be time for office work and processing imagery, high winds and rain will see little drone work across the UK. Back on site tomorrow and Thursday for two more surveys to undertake.